Does Airwheel S8 waterproof? Can you ride it in the rain? water resistanting is something to keep in mind when purchasing a hoverboard, especially with our typical British weather. So it's worth verifying with the manufacturer before you purchase. As is known to us all, Airwheel S8 electric self balancing scooter is water resistant and dustproof which enables to travel even in the rainy day. And Airwheel S8 has passed kinds of tests to ensure its quality, such as Anti-radiation Test, Anti-franklinism Test, Surge Test, water resistant Test and Crash Test. S8 sitting-posture electric scooter has equipped with embedded LED headlight that will comes in handy for you to recognize crossings in insufficient light. The back lights are to warn people and vehicles when the scooter turns. The exclusive App makes a stride in its functions, by adding IM social system to it. That is, you can communicate with your scooter friends and share photos on the way, etc. 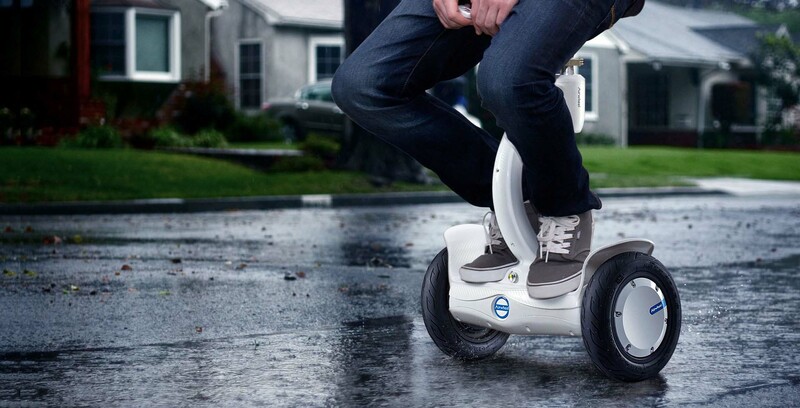 The Airwheel S8 electric scooter actually water resistant, meaning you'll be able to ride it in rainy conditions. Next：How to Replace the Motor of Airwheel Z8 Lightweight Electric Scooter?